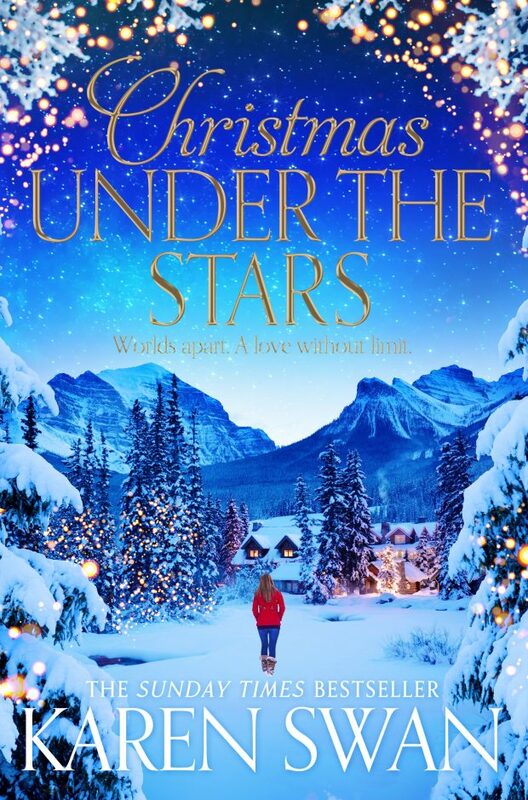 Karen Swan’s latest book Christmas Under the Stars is not a book to be judged by its cover for while December does feature in the story and the cover does show a snowy, wintry wonderland complete with lights, Christmas is not the theme. The book is 484 pages, so quite a wordy and meandering story. It starts slowly and continues that way for a good three quarters of the book. It takes until the last quarter for the pace to quicken and the story to unfold which it does quite quickly with some confronting disclosures. Four friends, Meg, Lucy, Mitch and Tuck, live in picturesque Alberta and on the surface they have a great life. They have a shared history that has taken them from teenagers to young adults. Their future looks as vibrant as the scenery that surrounds them but when tragedy strikes the friendship is tested. For Meg, confronted with fear and isolation, followed by incomparable loss she by chance finds help and comfort from a stranger who reaches out from a unique location. One thing that remains constant throughout the book is the animated description of the mountains and snowfields of the Canadian Rockies. A description that is inclined to entice you to visit the area or bring back wonderful memories if you have been. Even the account of the wildlife, aggressive though it sounds is exciting and if you kept your distance would be interesting to see. It is a thought-provoking story of jealousy, toxic relationships, guilt and secrets that have remained hidden or disguised. These cracks don’t appear until well into the book and by then you think you have the characters sorted. Read on. To some it may seem an implausible story in parts, but stranger things have happened in real life. So an open mind is all that is needed. A book for a long lazy weekend. Karen Swan began her career in fashion journalism before giving it all up to raise her three children and a puppy, and to pursue her ambition of becoming a writer. She lives in the forest in Sussex, writing her books in a treehouse overlooking the Downs. Her books include Christmas at Tiffany’s, Summer at Tiffany’s, The Perfect Present, Christmas in the Snow and Christmas on Primrose Hill. Christmas Under the Stars by Karen Swan is available in trade paperback $29.99 and ebook $11.99. Disclaimer: To facilitate this review Christine was supplied with a copy of Christmas Under the Stars by Karen Swan to read (and review). The ideas and views expressed in this review are Christine’s own – good and bad.